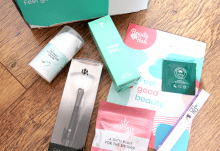 Roccabox is fast becoming one of my favourite beauty box discoveries this year, as the past few months of boxes have been consistently of a high standard and I’m never disappointed with the contents! What sets Roccabox apart from the other beauty boxes out there is that they have chosen to work with a different beauty influencer every month, who chooses their favourite products. I strongly believe that this one of the main reasons why Roccabox is so good, because it really does keep things interesting and you get to receive a much wider range of brands and products as a result. 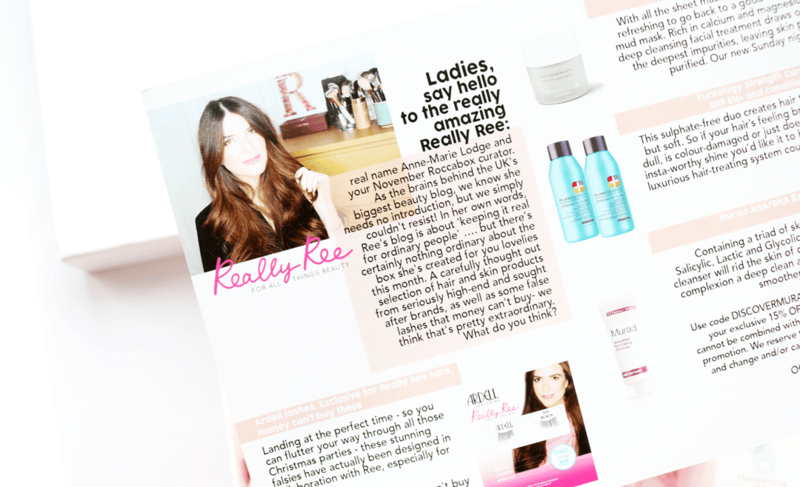 This month, I was thrilled to see that they have collaborated with one of my favourite beauty bloggers, Really Ree. 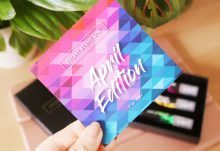 I’ve been following Ree for a good number of years now and she’s one of the bloggers that inspired me to start up my own beauty blog. 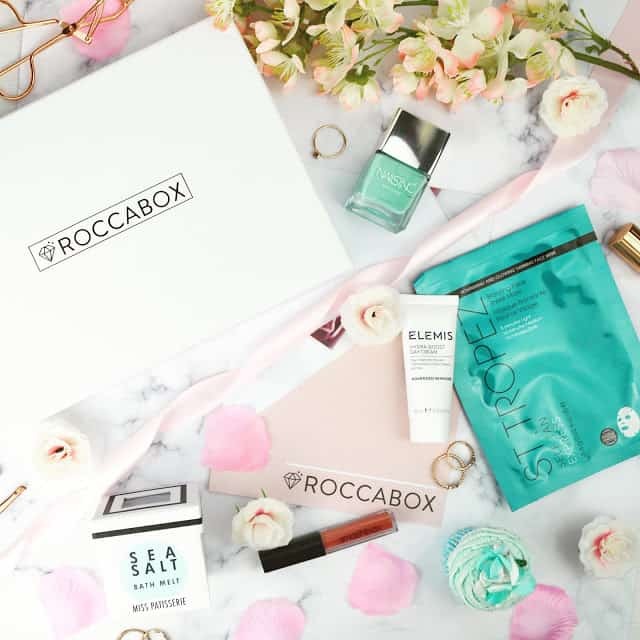 For Roccabox, she has carefully chosen a selection of skincare and haircare from a range of high-end and sought after brands, plus there’s an extra special exclusive product just for Roccabox subscribers – ooooo! Designed especially for fans of Really Ree, these stunning simple and elegant false lashes have been created by Ree and Ardell and offered as an exclusive, money can’t buy product, just for Roccabox this month! Ardell make my favourite lashes anyway, so you can imagine how happy I was to receive these and they look amazing on! Thanks Ree! A favourite among many celebrities and models, Omorovicza has made a name for itself in the skincare world in a very short space of time and this Deep Cleansing Mask is one of the luxury brand’s bestsellers. Described as a ‘good old fashioned mud mask’, it’s rich in calcium and magnesium, to draw out the deepest impurities, leaving the skin perfectly purified and refreshed. I used it last night and it really does work! Next up, we have a travel size set of Shampoo & Conditioner from Pureology, which comes from their popular Strength Cure range. Designed for brittle, dull and colour-treated hair, this sulphate-free duo helps to strengthen damaged hair and adds a glossy shine to finish for swish-worthy hair. Really excited to try these as Pureology are a fantastic brand. Finally, the last item is a luxury skincare bestseller from Murad. 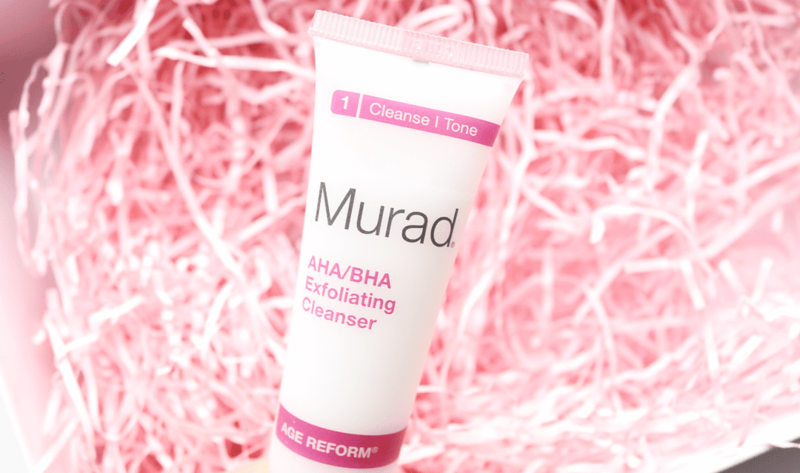 This AHA/BHA Exfoliating Cleanser contains a trio of skin-perfecting acids (Salicylic, Lactic and Glycolic) to eat away dull dead skin cells, giving your complexion a deep clean and buffing it until it’s smoother, brighter and clearer. I haven’t had the chance to try this yet but I’ve heard a lot of positive things about it, so I’ll be sampling it shortly. 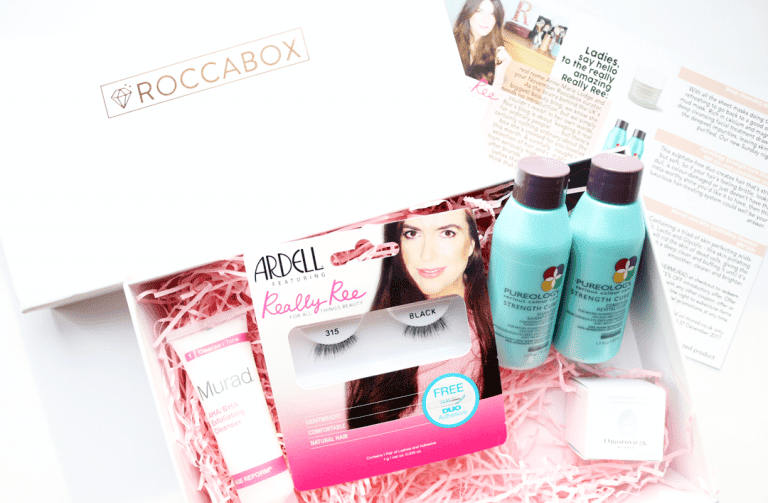 Roccabox have excelled themselves this month with this awesome collaboration box with Really Ree. A great selection of high-end and luxury skincare and haircare treats, and the exclusive Ardell lashes were just the icing on the cake for me!